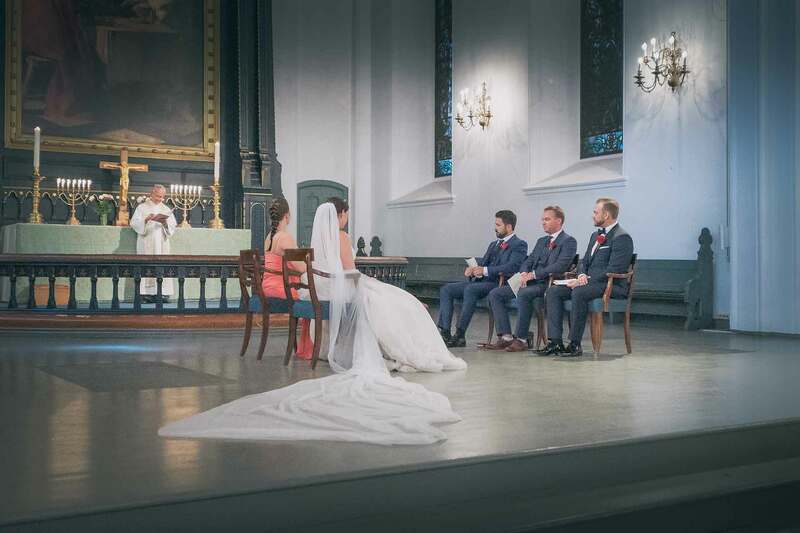 I traveled during the summer to a wedding in Norway. It was a very hot day and the church was very dark. I was very grateful for my Nikon D850 camera. 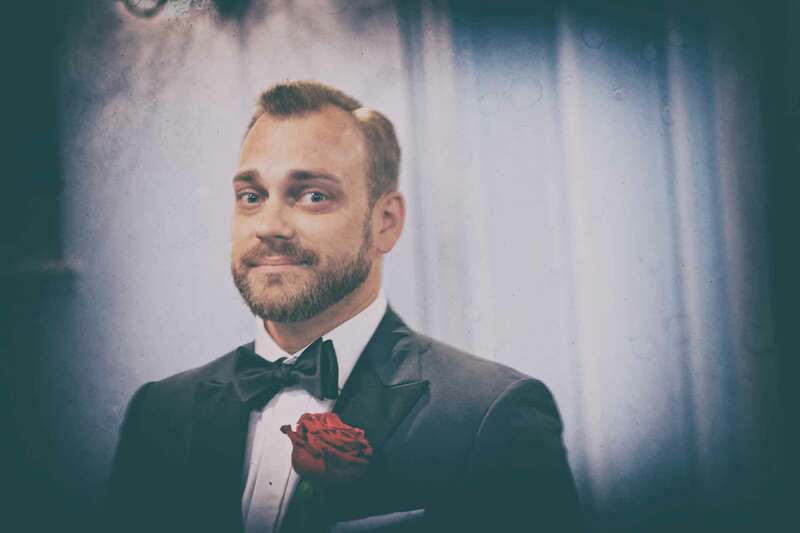 The wedding was different than Switzerland where people are officially married in an office. 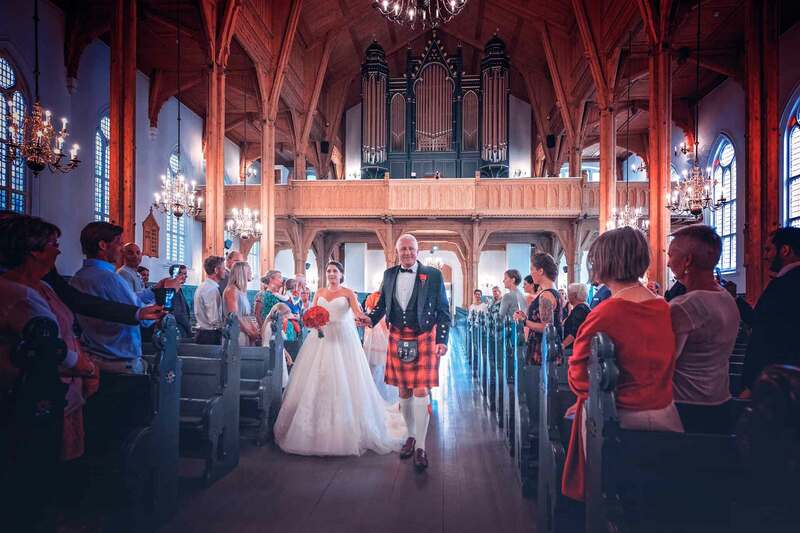 Hanne and Robin were officially married in the Domkirke in the centre of Kristiansand, Norway. I had to be extra careful when taking pictures. I didn’t want to disturb the service with the clicking of my camera. Many photographers have had problems in churches. Mostly hobby photographers showing no respect. Uncles, aunties and friends with a camera. All went well! Taking a picture is half the job. I spend several hours afterwards working on the images in Adobe Photoshop.I like to deliver the images within 3 days. I only offer the basic editing (colour, brightness, contrast etc.). When asked, I remove annoying features like fences. It takes a lot of time. I have added some effects to these pictures. I don’t this normally but I can do as it does take a lot of time. Let me know what you think. I don’t know if I like what I have done here. I have added some extra effects to give a matt effect.